My success is due in part to my ability to identify the cognitive and motor skills needed for each step of an activity. Here is what I learned when I went to a concert at Princeton University. - Google Earth photographed the parking lot from above so I did not know it was built on a hill. It is the steepest hill I have climbed since my stroke. This balance challenge made me nervous. on the road I had to cross. My ice strategy of taking tiny steps worked but I was still nervous. repeat this strength and endurance challenge if the elevator is not working next time. of arriving 30 minutes early allowed me to take a seat in the last row at the top. 8 feet of grass. My balance is challenged by walking on uneven surfaces. + The outdoor lighting was excellent which made me feel safe that night. + Three strangers helped me find my way on this unfamiliar part of campus. + I come from a family of musicians so I appreciated the wonderful acoustics in the auditorium. + The concert was free. encounter stairs in the community in the future. A PT helped me understand why walking and climbing four steps to my front door does not maintain strength in muscles that straighten the knee and bend it. These muscles need to be strong to keep my arthritic knee in good alignment. Despite this awareness I did not consistently do exercises at home after PT ended so my muscles got weak and my knee started to hurt again. It has been 16 years since my stroke so the days of scheduling my day around a home exercise program is over. However, pain motivated me to incorporate knee exercises into my daily routine. I link a new habit to an old one and set goals I can do until I die. For example, I sit down to don my shoes so I placed a leg weight on the floor next to my shoes. After I tie my shoes I put the weight on my ankle and straighten my knee. Twenty repetitions takes about 90 seconds so it is hard to find an excuse for leaving my bedroom without doing this exercise. I was also did not do a knee flexion exercise. 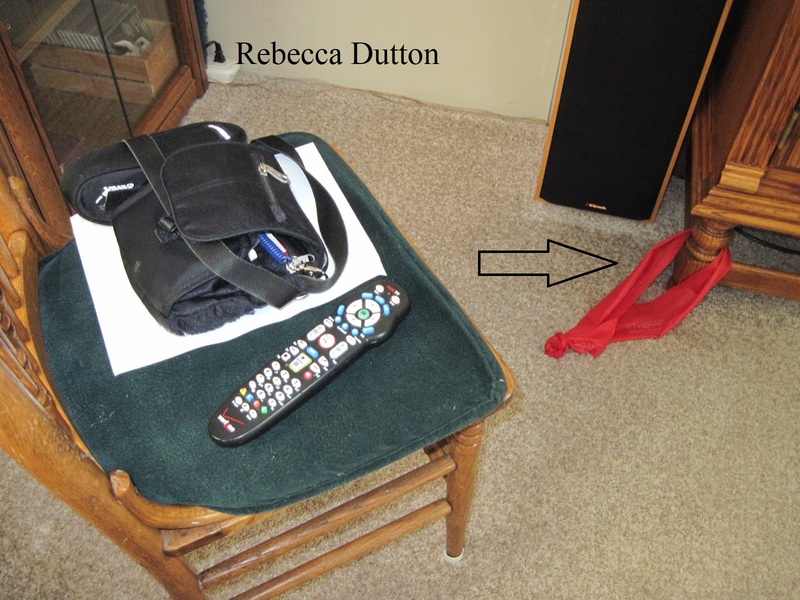 So before I go to bed I put my purse and TV remote on the chair where I sit to use Theraband that is tied to a heavy piece of furniture (see arrow). Walking to get the TV remote or get my purse before I leave the house is something I do even if I do not feel like exercising. Since I am standing next to the chair I sit down, hook the Theraband on my ankle, and bend my knee for two sets of ten. Incorporating exercises into my normal routine reduces my anger about having a chronic disease that will always require accommodation. Linking new habits to old ones also provides memory aids (e.g. shoe, purse) so no thinking is required. It is a relief not to feel guilty at 3 p.m. because I have not done the exercises I promised I would do. Twenty reps distributed throughout the day are not as effective as a long PT session, but life-long compliance is better than letting myself go down hill. I refuse help when I know I can do a task myself. If a stranger offers to help I say "I can do it but thank you for offering." Refusing help from friends and family is also important. I do not want to be the sister or friend who repeatedly pulls the stroke card to get special treatment. People know when they are being taken advantage of. I need to be independent when friends are not willing to change their habits to accommodate my needs. My friends want to arrive just before the movie begins when most seats are taken. I have to arrive 30 minutes early when the rows are empty. I cannot creep past the feet of seated people. With their feet hogging the narrow aisle, I have no place to put my cane tip on the floor. Holding my cane off the floor puts me at great risk for a very bad fall. Waiting for friends to arrive at the last minute forces us to climb up to the empty seats in the nose-bleed section. So I drive myself and save seats for friends who want to join me. However, I do not want my fierce independence to create a mess that other people have to clean up. For example, on the rare occasion when I eat steak, I ask my brother or a friend to cut it up for me so it does not fly off the plate and land on the floor. Even my best rocker knife is too dull to cut through dense meat fiber. Caution. This stool may not be safe if you are heavy or need assistance to stand up or sit down. A shower stool is compensation so I will not fall in a slippery bathtub because of my poor balance. Does needing it make me sad? No. This adaptive device has allowed me to travel to see family and friends, present at conferences, and stay at other people's homes when the power goes out (e.g. hurricane Sandy). I found a folding shower stool I can use when I visit places that do not have a handicapped bathroom. It is too wide for anything but the widest luggage so a luggage saleswoman suggested I transport it in a nylon garment bag. I bought the stool at a local medical supply house. I wanted to see if I could open it myself and sit on it to feel how sturdy it is. I cannot count on towel racks being in a convenient location so before I get in the shower, I put a towel on the closed toilet lid or a chair so I can reach it to dry myself while sitting on the stool. Before I get out of the shower I put the towel on the closed toilet seat or chair so I have a place to sit after I get out of the shower. If I am visiting someone's home I take the stool out of the bathtub when I am done showering. I place the folded stool on the towel covered toilet seat and use the ends of the towel to wipe off the water. When I am dressed I fold the stool and find a place to keep it out of other people's way. was also about 200 feet from the entrance to the Princeton University campus. + I only had to walk one block into the campus to get to the chapel. The path was well lit. Although it was uphill all the way I reached the top feeling confident. to walk backwards down tall stairs does not restrict all community activities. been using my strategies for driving in the dark for months. closest parking garage to the chapel to see if I am so tired that I have to go home. P.S. The choir was superb because they were all voice majors at the university. A saxophone sounds good in a big church. The reader was one of the most dynamic speakers I have ever heard. Achieving long-term goals is complicated for people who have a chronic condition like a stroke. in-patient OT also addressed cold food prep so I could prepare my breakfast and lunch while Arlene was at work. My home health OT addressed advance cooking skills I would need when I returned to my home. Two rounds of out-patient OT prepared my arm and hand to maneuver a shopping cart around numerous obstacles at a grocery store. A fifth OT provided certified driver training so I no longer had to spend two hours with paratransit to go to and from the grocery store. Incremental progress towards long-term goals is difficult to achieve for two reasons. First, institutional autonomy does not allow communication between staff who work at in-patient, home health, and out-patient agencies. Only the client sees all the steps towards a long-term goal. I kept the momentum going by telling my OT "the next thing I want to do is ...". Second, in the 16 years since my stroke no doctor recommended out-patient OT or PT. They gave me a prescription for therapy when I asked for it, but they never asked how it helped me. I had to go on-line to find out-patient clinics near me and ask friends if they would recommend a therapist they had gone to. I have overcome the challenges created by a stroke and a bad back. Thirty years ago intense back spasms forced me to crawl because it was too painful to stand up. I have managed a bad back by beginning every day with stretching exercises before I get up in addition to exercises I do for my stroke. Then intolerable, day long pain began in my "good" knee last October. This third challenge added work and created doubt about whether I can maintain my current life. PT made the pain go away. The pain returned when I stopped taking an anti-inflammatory because it was tearing up my stomach. The next step was to get three gel shots in my knee. The pain receded to intermittent, mild pain, but the fear that my knee is not fixed is still with me. Gel shots work for some people but not for others. I have postponed doing activities I value because I am afraid I can not finish what I started and increased activity will make my knee pain return. For some reason juggling three chronic conditions feels like a lot more than two conditions. When I came home after my stroke I took on challenges one day at a time. The only way to learn if I could live alone was to gradually cross off small challenges on my must-do list. But stroke, back, and knee problems have left me exhausted physically and emotionally. The line between being cautious and being fearful is no longer clear. Reimbursement is changing from therapy minutes to client outcomes. Some hospitals have tried to improve outcomes by sending clients home with iPads so nurses can establish rapport during Skype sessions. This does not provide the long-lasting motivation created when OTs link specific health promoting behaviors to specific meaningful activities. Here are two examples of how OTs can help every level of client turn "I should" into "I want to." Unfortunately an OT cannot justify the expense of going to a lake to show a client with repaired finger flexor tendons why he needs to do boring, uncomfortable scar massage so he can go fishing. However, an OT can show a client a photo of someone fishing and talk about scar tissue that keeps the thumb bent so it has little contact with the handle. Having a straight thumb that provides the control needed to precisely cast in a desired direction can be the motivation to do scar massage. 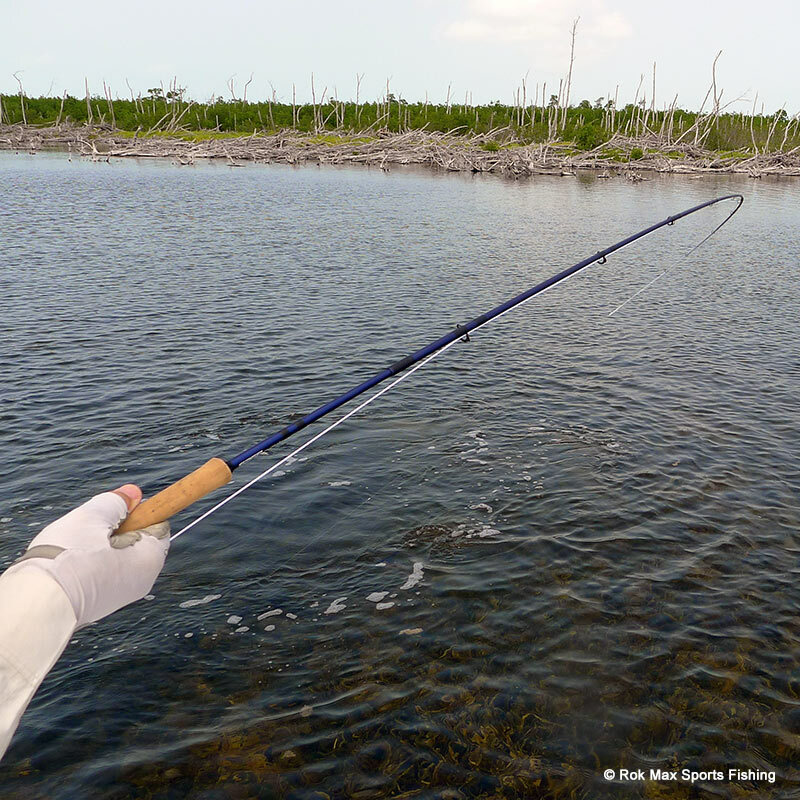 Fishing can help a client avoid a costly 2nd surgery to get rid of scar tissue. Meaningful activities can also be unsafe. For example, a family cannot bring a client's dog to a rehab hospital after the client says he cannot wait to cuddle with his beloved pet. It is not safe to bring pets that have not been trained to act appropriately in a hospital situation and whose health has not been certified by a vet. However, the OT can point to a picture of pants and a picture of a person holding a dog and say "pants - dog". Pet owners know dogs have sharp claws that can scratch bare thighs. The animal is the motivation to get thighs covered with pants. Ironing aprons after the Spring Sale at my church reminded me of a pleasant childhood memory. I remembered when my mom taught me to iron by having me iron handkerchiefs. This was a simple task I did successfully the very first time. It is easier to get every wrinkle out of a handkerchief than an apron. However, these aprons do not have to be ironed perfectly because they will be stacked in a box until next year and come out a little wrinkled anyway. This got me thinking about the 80% rule. Business managers use the 80% rule to keep down costs. Some tasks that are 80% correct will not affect the bottom line while others have to be closer to perfect. The rule says you need to think about striving for perfection because the last 20% takes nearly as many resources as the first 80%. Business managers are paid to decide when a company should spend the extra resources to approach perfection. I wish I had known about the 80% rule when I was married. When my husband did not smooth out the bedspread perfectly I would have known that this is an acceptable business practice. I do not know where I got the idea that ALL work has to be done perfectly ALL the time. I used to be a perfectionist, but now I think perfection should be a conscious choice rather than a habit. I live alone so when I am exhausted or frustrated I use the 80% rule. Snow strategies keep me out of a nursing home. For example, I pay two teenagers to dig my car out and clear a path to my car. Paying $30 to 40 is still cheaper than paying a long-term facility $5,000 a month to get someone to shovel snow for me. 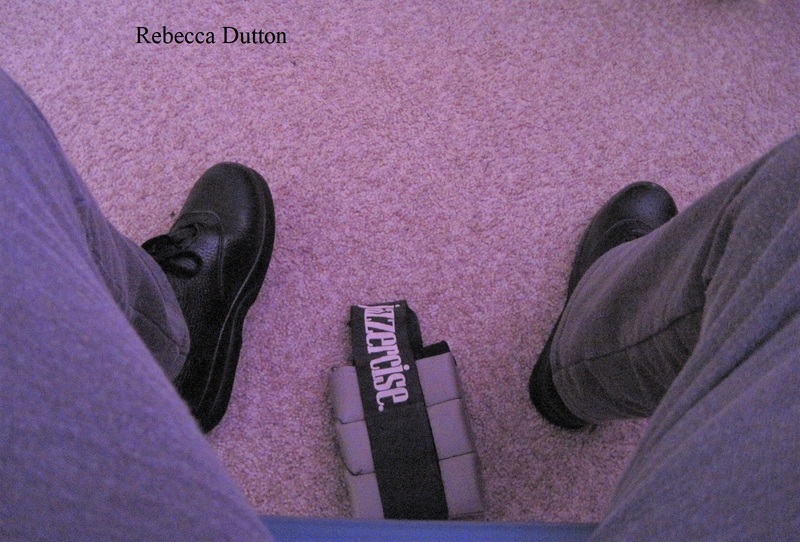 Before I went out in the first snow storm I was frustrated because I had forgotten the tricks for donning snow boots (Rebecca, read your posts). The second time all my snow strategies were in place. A windshield scraper and mitten for my sound hand were on the passenger's seat so I was able to clean the snow off my windshields before I backed out of my parking place. When I saw snow accumulating on the road I worried briefly about snow on the walkway leading from the street to my covered patio. Fortunately the snow had melted so I did not need the child-size shovel in my back seat to push snow to the side to clear a path. I will make one change because the mitten was cold after sitting in the car all night. When snow is predicted I will attach my mitten to a metal ring on my purse with a #2 size S-Biner (see arrow) made by Nite Ize. It is sold at Home Depot. My first snow strategy is to stay inside until the snow melts. I am retired so sometimes I can use this option. Dunham Family and My Stroke Story!